Will you participate in the Zombie Walk? 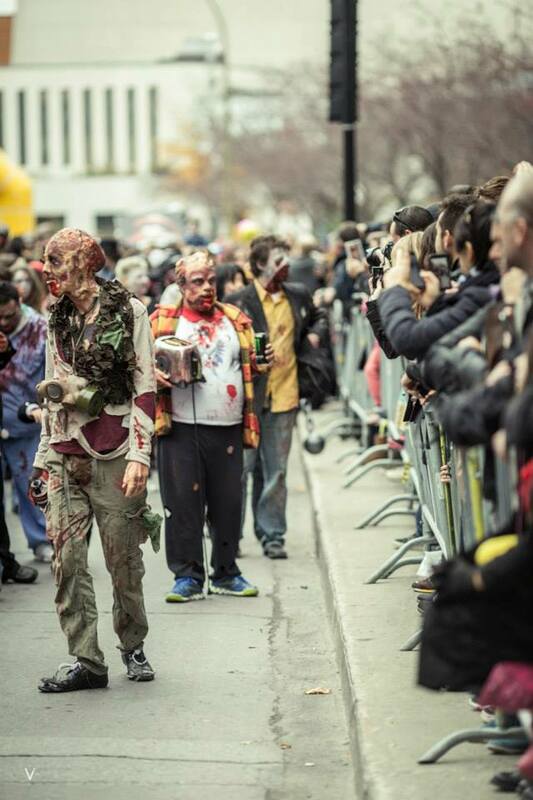 On October 31st join over 10,000 zombies for the 5th Annual Montreal Zombie Walk, presented by Videotron The Superclub! The Zombies will have the choice again this year to show up on the scene and get a touch up before displaying their grotesque splendor before the world. The Party Expert makeup kiosk will be offering touch ups to the undead to enhance their gore level for the small fee of $15. Don’t forget to bring old clothes. The sooner you arrive, the better!!! Flash those teeth at the Publicité Sauvage photo kiosk where you can immortalize yourself for free into the world of the undead! A wrestling ring at place des Festivals? Yes! Les Promotions NCW will present a series of exciting matches on October 31st! Will the next champion be a zombie? Again this year the “Biergarten” and the Micro-brasserie Le Trou du diable are back at the Zombie Walk! Cheers! New feature! We will have a space for giant games, board games and strange video games on the October 31st Zombie Walk site, in collaboration with La Récréation and Gros Joueurs! Zombies obviously don’t have the best dance moves. We are providing a solution this year with a free initiation to learn cool dance moves with Rock Avenue’s Rockabilly and Jive dance school. Big show at place des Festivals after the walk with Les Breastfeeders! 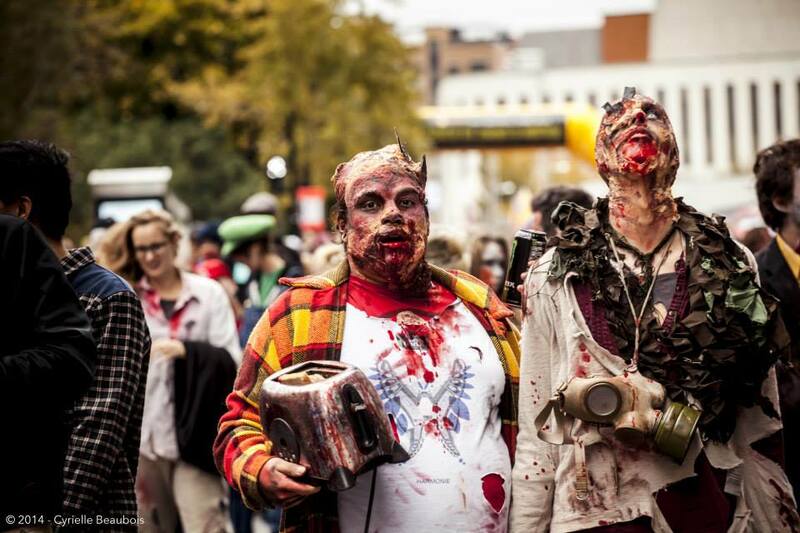 For the first time ever, the Montreal Zombie Walk will have an outdoor movie screening! In collaboration with Festival SPASM will be presenting 2015’s most sensational genre film: TURBO KID! START: Place des festivals – De Maisonneuve/ Bleury, West on Maisonneuve boul., South on McGill College ave., East on Sainte-Catherine st, END: Place des festivals.